I also like a good cafe. In the future I might even like to run one. I'd call it Moira Jane's. I don't know anyone of this name and it has no significance to me, I just like the idea of people popping into Moira Jane's for a brew. On a Monday morning you can usually catch me in a caf enjoying something fried while wondering what to do for the day. 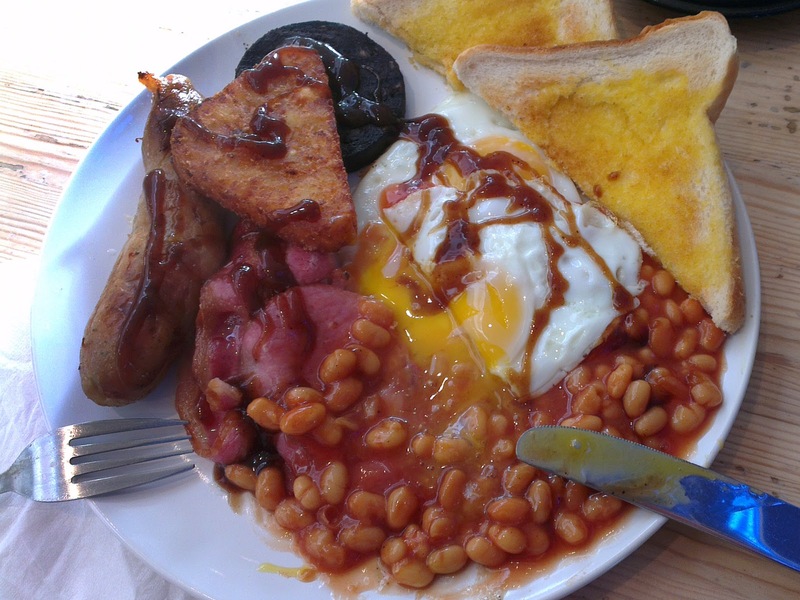 Now I know that this isn't the heathiest way to start the day/week, but I figure that with all the cycling and walking I do during the week I'm allowed a gut-busting treat on my day off. I'm chomping my way through a salty mouthful of bacon and black pudding when my phone chirrups with an incomming text message. 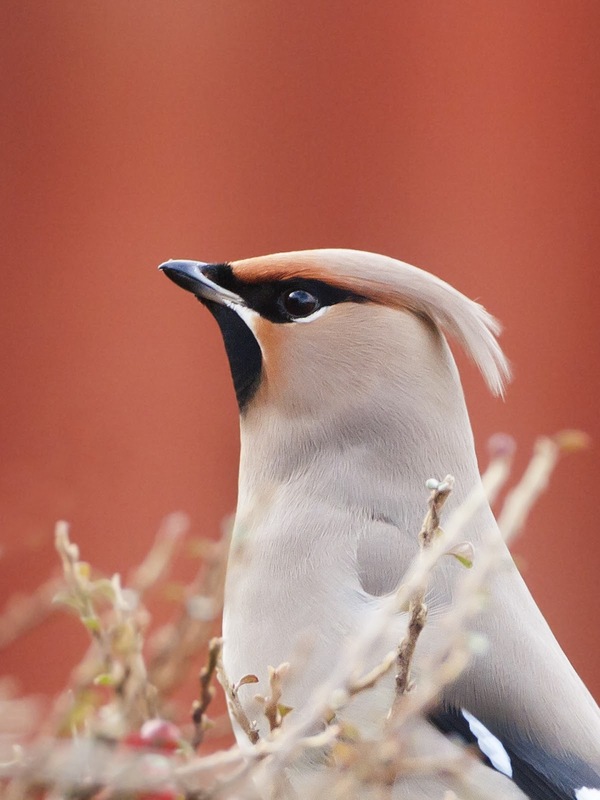 "40+ Waxwings on Irby Road" it read. The weather was blustery and the sun was in and out from behind dark grey clouds so setting exposures manually was going to be tricky. As we arrived the sender of the text message I got back in the cafe was in situ and had located the birds. 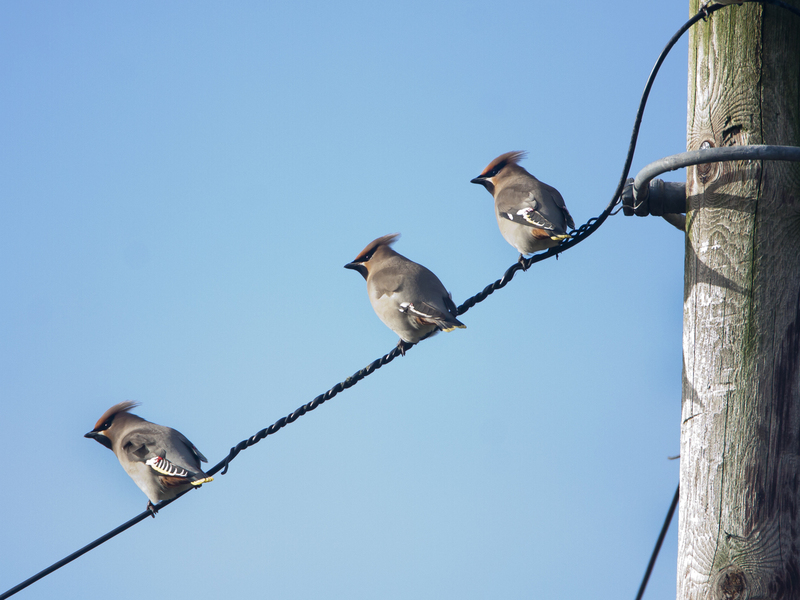 They were on the telegraph wires above the gardens of the houses on the main road from Irby to Pensby. From this vantage point they would twitter to each other, drop droppings on the pavement below (well if you ate almost exclusively fruit all winter....) while trying to keep their balance in the wind. The berries were being consumed fast and it was clear that they would be moving on soon. More texts must have been sent as another of the local birders pulled up for a look. 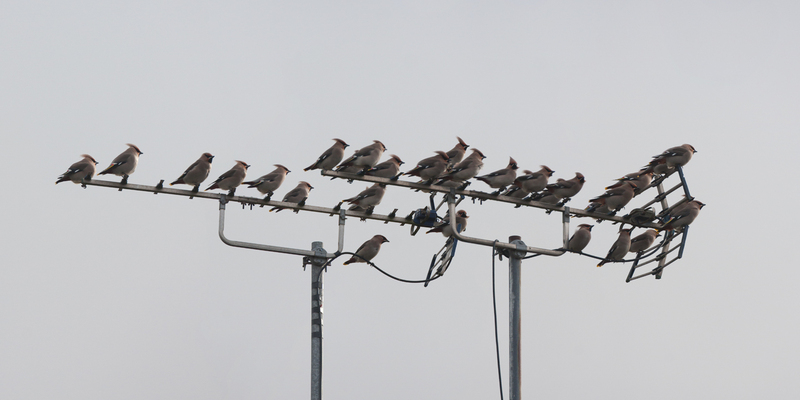 The birds would feed for a time, perch on the wires for a while and occasionally disappear off over the back of the houses and out of sight for a few minutes. I took a few pictures and enjoyed listening to thier delicate trilling calls. Suddenly they whip off in a different direction (towards the village pub) and haven't don't within 20 minutes. 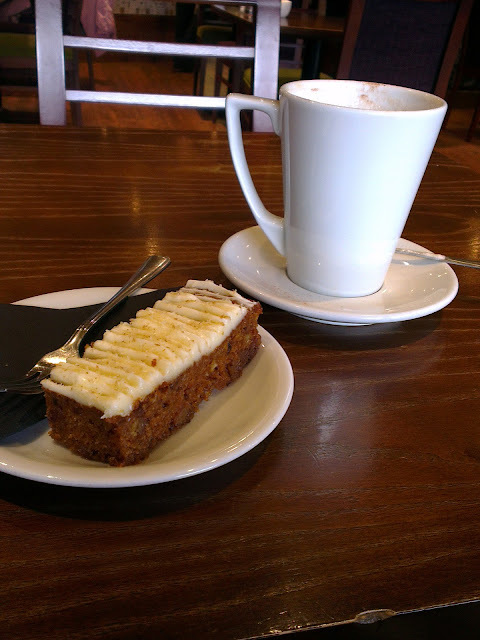 We are quite chilled now so decide to continue with the cafe theme and nip into a local eatery for an ex-large decaf cappo and a slice of carrot cake while we formulate a plan B. The painted fence bordering the garden the tree is in provides an unusual background. Johnny has come in his bright red waterproof, not the ideal outerwear for wildlife photography you would think. 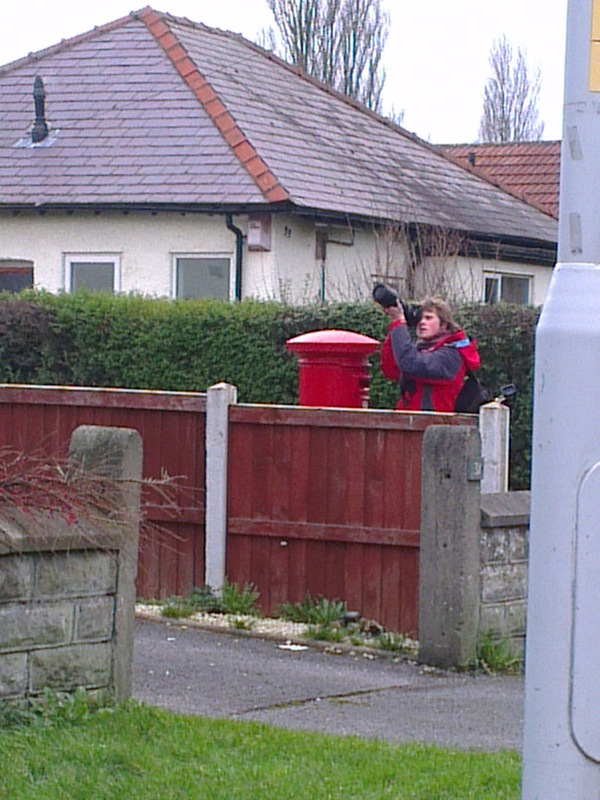 No so here, between the fence and the post box he blends perfectly into the background. 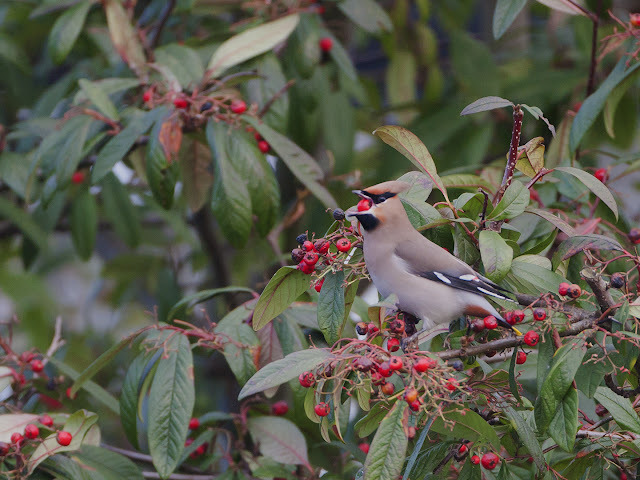 The Waxwings are very obliging, they even came down to the cotoneaster on the low wall you can see in the picture of Johnny above. The memory cards were getting full and the batteries were getting flat, plus there was the nagging thought of my mother needing picking up so we grab a few last shots before I was dropped off to reflect on another brilliant day off. Monday is nothing to be scared of! The breakfast looks disgusting. I'd use almost any excuse to get away from it! 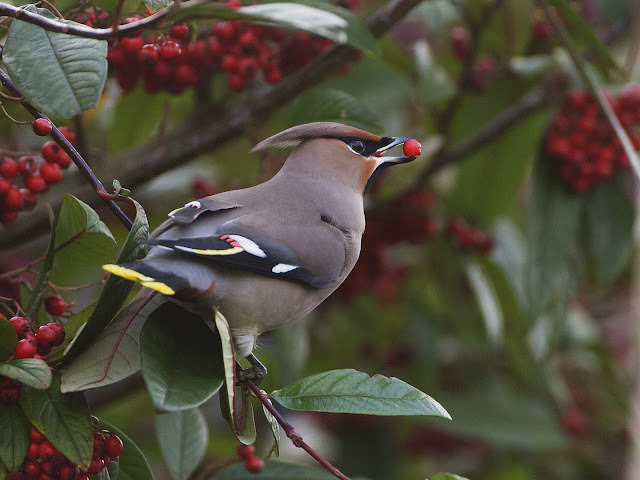 Waxwings - they are very exotic looking birds for England, I reckon. Not that we see them much where I live. They hide in bushes. Hear them though! You are very polite to say they trill. Maybe yours are more musical than ours. Ours shout. They gather invisibly in a bush and yell. You'd think the bush would take off or fall apart from the very vibration of the noise. 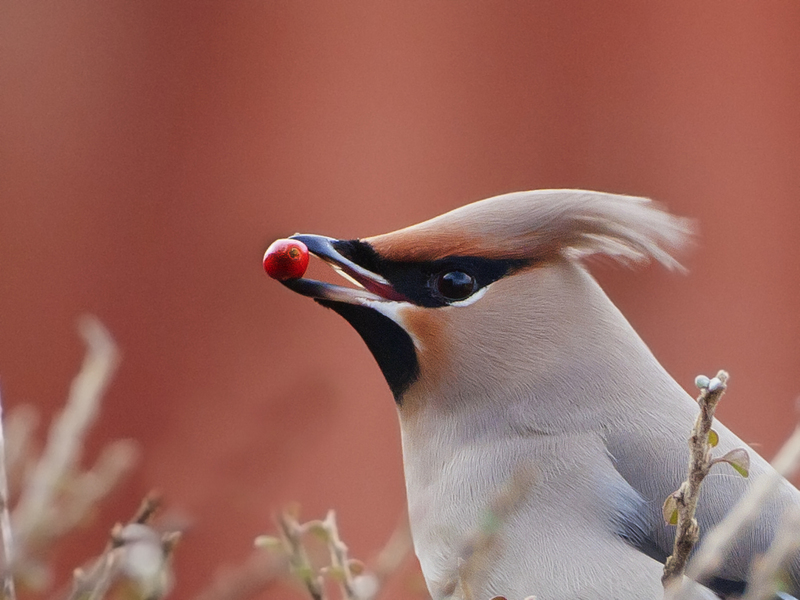 If you hadn't shown the (fantastic) pictures, I would have wondered if I'd got the wrong bird. Do you prefer the look of the carrot cake/coffee?